When mankind creates a ecological niche by wiping a species off the face of the Earth it is good to see another species filling that place. 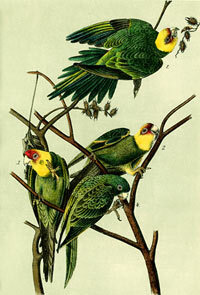 The Carolina Parakeet was extinct by 1920 due to hunting. 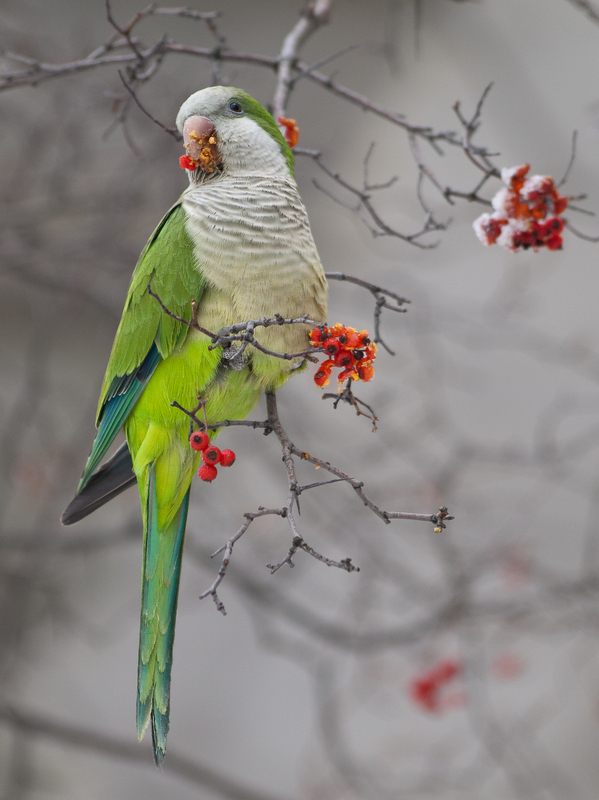 The Monk Parakeet is filling that niche and humans helped them do it.